PRETTY SURE IT FITS LEFT AND RIGHT. Static 3 point Lap & Diagonal Seat Belt. 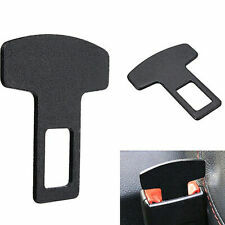 This seatbelt is a one single 3 point static seat belt and is typically used in the front of the vehicle with door pillars. 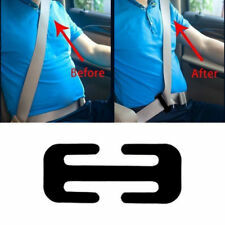 Front Static (non-inertia) 3 Point Seatbelt. Auto Lap & Diagonal Seat Belt. A three point fully automatic retractable unit fully reversible so can be used for both left and right hand sides replaces standard driver side or passenger side seatbelt. Audi 100 Avant Quattro (C1) 1985-91. Audi 200 Avant Quattro (C1) 1985-91. Audi 100 Avant (C1) 1983-91. Audi 100/200 Estate Rear Seat Belt Retainer. Part number: 200E. 3-point Securon seat belt (without inertia-locking retractor) for Audi 200 Quattro (year of manufacture: 79 to 91) rear (adjustable). MODEL YEAR FRONT LH & RH REAR LH & RH LAP. Stalk length: 47 cm / belt lenght: 217 cm. Audi 100 / 200 type 44. We always strive to keep the quality of our products at a high level. Used automotive parts usually have to wear, but they do not constitute a defect in the goods. Any used parts have been tested for function! Part number: 210D. 2-point Securon lap belt (without inertia-locking retractor) for Audi 200 Quattro (year of manufacture: 79 to 91) (adjustable). MODEL YEAR FRONT LH & RH LH & RH LAP. 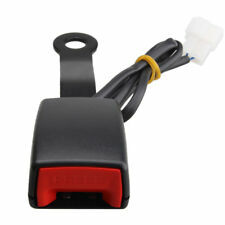 Rear seat belt for MG MGB-GT 65-81 3-pnt. Part number: 210E. 2-point Securon lap belt (without inertia-locking retractor) for Audi 200 Quattro (year of manufacture: 79 to 91) (adjustable). MODEL YEAR FRONT LH & RH LH & RH LAP. 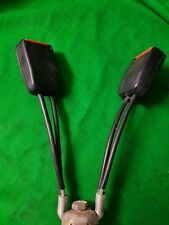 Rear seat belt for MG MGB-GT 65-81 3-pnt. Part number: 210C. 2-point Securon lap belt (without inertia-locking retractor) for Audi 200 Quattro (year of manufacture: 79 to 91) (adjustable). MODEL YEAR FRONT LH & RH LH & RH LAP. 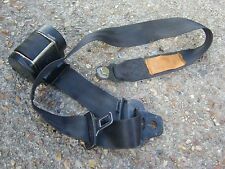 Rear seat belt for MG MGB-GT 65-81 3-pnt. 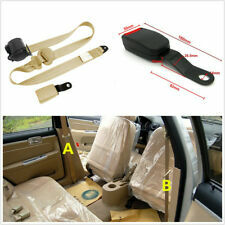 3-point Securon seat belt (automatic) for Audi 200 Quattro (year of manufacture: 79 to 91) front (adjustable). MODEL YEAR FRONT LH & RH REAR LH & RH LAP. Stalk length: 30 cm / belt lenght: 297 cm. Complete with fittings. Part number: 210B. 2-point Securon lap belt (without inertia-locking retractor) for Audi 200 Quattro (year of manufacture: 79 to 91) (adjustable). MODEL YEAR FRONT LH & RH LH & RH LAP. 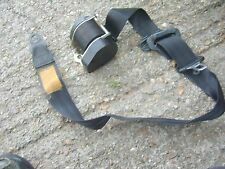 Rear seat belt for MG MGB-GT 65-81 3-pnt. Part number: 210A. 2-point Securon lap belt (without inertia-locking retractor) for Audi 200 Quattro (year of manufacture: 79 to 91) (adjustable). MODEL YEAR FRONT LH & RH LH & RH LAP. 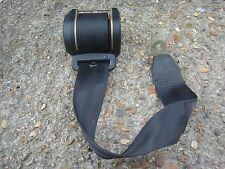 Rear seat belt for MG MGB-GT 65-81 3-pnt. Part number: 264A. 4-point Securon seat belt (automatic) for Audi 200 Quattro (year of manufacture: 79 to 91) rear (adjustable). MODEL YEAR FRONT LH & RH REAR LH & RH LAP. Stalk length: 32 cm / belt lenght: 265 cm. 3-point Securon seat belt (without inertia-locking retractor) for Audi 200 Quattro (year of manufacture: 79 to 91) front (adjustable). MODEL YEAR FRONT LH & RH REAR LH & RH LAP. Stalk length: 30 cm / belt lenght: 217 cm. Part number: 200D. 3-point Securon seat belt (without inertia-locking retractor) for Audi 200 Quattro (year of manufacture: 79 to 91) rear (adjustable). MODEL YEAR FRONT LH & RH REAR LH & RH LAP. Stalk length: 47 cm / belt lenght: 217 cm. Part number: 264B. 4-point Securon seat belt (automatic) for Audi 200 Quattro (year of manufacture: 79 to 91) rear (adjustable). MODEL YEAR FRONT LH & RH REAR LH & RH LAP. Stalk length: 32 cm / belt lenght: 265 cm. Part number: 264C. 4-point Securon seat belt (automatic) for Audi 200 Quattro (year of manufacture: 79 to 91) rear (adjustable). MODEL YEAR FRONT LH & RH REAR LH & RH LAP. Stalk length: 32 cm / belt lenght: 265 cm. Part number: 264E. 4-point Securon seat belt (automatic) for Audi 200 Quattro (year of manufacture: 79 to 91) rear (adjustable). MODEL YEAR FRONT LH & RH REAR LH & RH LAP. Stalk length: 32 cm / belt lenght: 265 cm. Part number: 264D. 4-point Securon seat belt (automatic) for Audi 200 Quattro (year of manufacture: 79 to 91) rear (adjustable). MODEL YEAR FRONT LH & RH REAR LH & RH LAP. Stalk length: 32 cm / belt lenght: 265 cm.